The two tech giants' digital assistants will be popping up in more places than just your smart speaker in the coming year. Amazon (AMZN - Get Report) and Alphabet's (GOOGL - Get Report) Google are throwing down the digital assistant gauntlet at CES 2018. Both tech giants will have their voice-activated devices on display front and center at CES, the world's biggest tech and consumer electronics trade show, which kicks off today in Las Vegas. While Amazon has so far maintained a lead with its range of voice-activated Echo devices, Google is making a renewed effort at CES to push its own smart speaker, the Google Home. For many years, Google and other big tech names (including Apple (AAPL - Get Report) , Microsoft (MSFT - Get Report) and Facebook (FB - Get Report) ) have shied away from CES, but the Alphabet unit is coming out in full force this year. The search giant set up an outdoor booth at the show, called the Google Assistant Playground, which features a giant, blue slide and the company also has a Google Assistant advertisement emblazoned on Las Vegas Monorail. 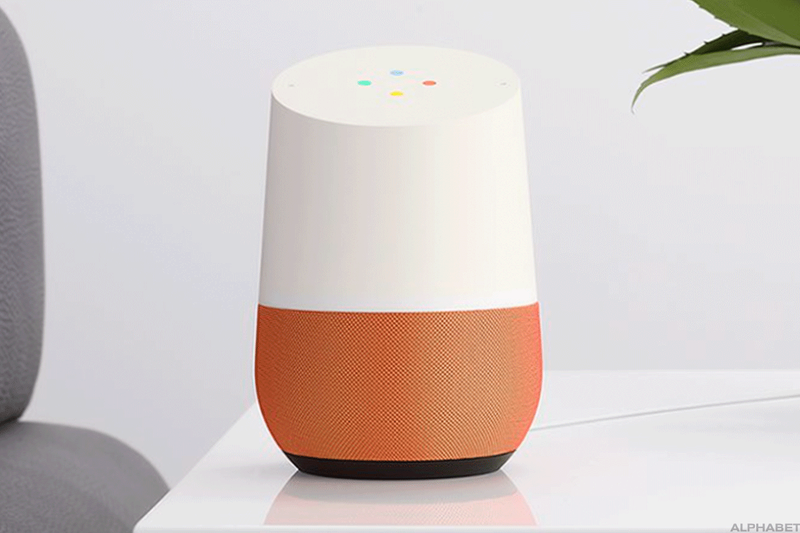 The Google Home smart speaker is one of many devices that house Google's voice assistant technology. Amazon, which heavily advertised its voice assistant technology at last year's CES, is also expected to have a significant presence at this year's conference. Wearables startup Vuzix (VUZI - Get Report) is showing off a pair of augmented-reality smart glasses that respond to commands from Amazon's Alexa voice assistant. At CES 2017, Amazon announced partnerships with Ford (F - Get Report) , Huawei and LG to integrate Alexa into their products, and it's likely that more Alexa-enabled products will be introduced at this year's show. Industry watchers believe that CES 2018 could be a showcase for a developing trend where voice assistant technology is added to more and more devices beyond smart speakers, such as TVs, cars and Internet of Things (IoT) devices such as smart fridges, faucets, security systems and other home appliances. Google and Amazon may also be shopping for new partners at CES, as both companies look to build out the ecosystems around their Alexa and Assistant devices, respectively, beyond the devices they each produce. Other players, such as Samsung (SSNLF and its Bixby voice assistant, are also holding court at CES, with Samsung announcing Bixby integration for its smart refrigerator. Facebook, Apple, Microsoft and Alphabet are holdings in Jim Cramer's Action Alerts PLUS Charitable Trust Portfolio. Want to be alerted before Cramer buys or sells FB, AAPL, MSFT or GOOGL? Learn more now. Aside from its Alexa-enabled smart glasses, Amazon has already announced a slew of other partnerships. Consumer tech company Anker introduced the Viva, an Alexa-enabled, Bluetooth-connected device that plugs into the USB charger in your car. Alexa is also being integrated into Canary security systems, GE light switches, Whirlpool ovens and microwaves, Kohler mirrors and faucets, as well as a Hisense TV. Vuzix's Blade smart glasses, which made news on Friday, may not be the final frontier for Alexa-enabled glasses, however. It's possible that Amazon could announce partnerships with other, more established wearable makers later on down the line, or, as Moor Insights & Strategy president Patrick Moorhead points out, Amazon could bite the bullet and make its own Alexa-enabled glasses. "Ultimately, I'm expecting Amazon to release their own goggles once the business opportunities firm up in VR and AR," Moorhead explained. "Amazon likely has one in the labs." Amazon could easily become a major player in the augmented reality-enabled glasses market. Earlier entrants, such as Snap's (SNAP - Get Report) Spectacles and Google Glass, have faced disappointing levels of consumer adoption. Google Glass ultimately pivoted to the enterprise market in 2016 after it failed to gain any traction after its initial release in the early 2000s. And Apple has been widely rumored to be considering producing its own smart glasses. 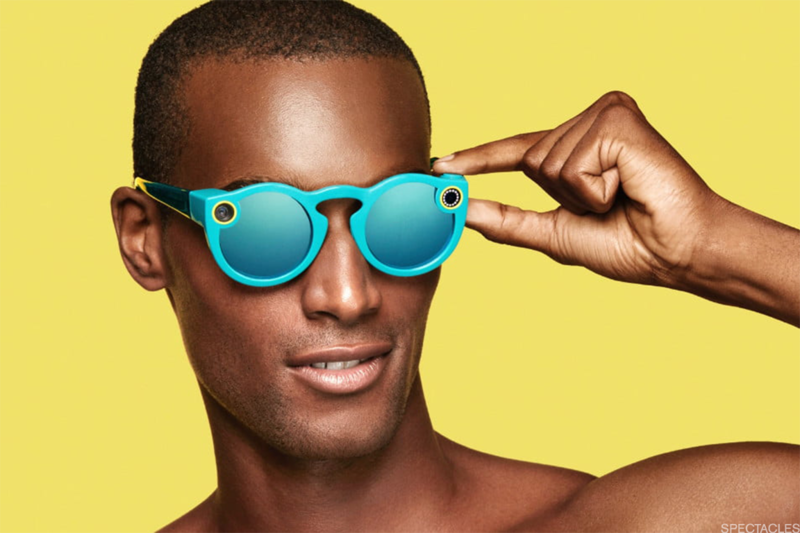 Snap's Spectacles haven't lived up to expectations like the social media company thought they would. For now, it seems that Amazon and Google are more focused on penetrating the IoT market with their respective voice assistants. With its early entry into the category, Amazon has developed a significant lead, with tech research firm Strategy Analytics estimating that Alexa was on 68% of all smart speakers by the end of the fourth quarter of 2017. But that number was down from 80% in the first half of 2017. Google trails Amazon at 25%, but has been making strong gains in the last few months. Both Amazon and Google have strong motivations to sell more of their voice-activated assistants. Voice has been picking up speed as a preferred method for shopping, and consumers are already using voice-activated devices as search engines. That, in turn, generates valuable data for the tech companies behind the devices, which is especially useful for Amazon's e-commerce business. Ultimately, voice-activated devices could become the next frontier for digital advertising, which is currently dominated by Google and Facebook. It may not be very long before Google and Amazon begin serving up ads on their Echo and Assistant devices, or now, even your fridge, mirror or home security device.